John Marsh, GTC’s Water Director, explores the recent shake-up to the water market and outlines the opportunities now available to housebuilders. 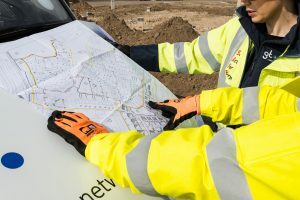 For all but the largest developments, until now, housebuilders and developers have had no choice but to work with their local water company to organise new water and wastewater connections. They could choose whether to employ a Self-Lay Provider (SLP) or the water company itself to install the network, but then the water company was the only option to adopt and manage the network once the development was complete. With virtually no competition in water network ownership, tariff structures and service levels have remained static. That is now all set to change. The 2014 Water Act included provisions to help open up the water market in England and Wales and offer the construction industry a genuine choice of water provider for the first time. After some delay, these provisions took effect in April 2018 and represent a watershed moment. Barriers to competition have been removed, enabling independent network operators to offer housebuilders and developers a real alternative to working with the traditional water companies. Ofwat, which introduced the measures, expects them to deliver significant benefits to housebuilders, including lower prices, better customer service and innovative supply solutions. As every housebuilder and developer knows, most water and wastewater household connections in England and Wales are ultimately provided by incumbent water companies, which supply services on a monopoly basis within their specific geographical areas. Independent network operators, like GTC, have already been competing with the water companies, but only on a limited basis, providing water networks only to the largest developments such as King’s Cross and Greenwich Millennium Village in London. Under the previous rules it was simply not financially viable for these companies to work on the majority of projects due to the barriers to competition identified by Ofwat, following an investigation into how the water market was operating. The model that allowed for this very limited competition can now be rolled out to all sites, whatever their size. Ofwat appoints independent water and wastewater operators by means of New Appointment and Variation (NAV) licences, which are issued on a per-scheme basis. The NAV, as the competing companies are known, becomes the water company and replaces the incumbent. NAVs can install the site network or adopt networks installed by SLPs and are then responsible for managing the network and billing customers. The water market henceforward will operate in a similar way to the gas and electricity markets, which were liberalised 20 years ago. The construction industry is already familiar with the benefits that that deregulation has brought and, today, the majority of new gas and electricity connections are provided by independent network operators such as GTC. The new measures for water mean that housebuilders and developers are now able to request quotations from a range of suppliers and make their procurement decisions on the criteria that they would use for any other utility – price, service, availability, and ability to deliver within project timescales. Ofwat identified a number of issues restricting competition in the water market. These involved the way in which tariffs for bulk water supply and income-offset were calculated by the water companies. New connections had to pay for pre-existing network issues, such as reinforcement, and no account was taken of the costs of operating the new residential network by the NAV operator. The changes that have been introduced will make it easier for developers and competing water companies to establish what an incumbent water company will charge to connect a new development to their existing water network. The charges will be fairer too, and already a number of water companies have also developed and published NAV-specific wholesale charges. Another block to active competition in the market had been developers’ concerns about the lengthy licensing process. This was particularly true for smaller developments whose tighter timescales could not accommodate a long wait for a NAV licence to be granted. Now, with hundreds of NAV licences expected, Ofwat has streamlined the application process, both shortening it and making it more predictable. Ofwat has described the changes to the market as, “a significant change from the past”. So what benefits can housebuilders expect from these important changes? First, the opening up of the market should lead more independent network providers to become involved, offering new-build developments a wider choice of providers for water and wastewater connections. Greater competition will apply downward pressure on prices and raise standards of customer service as providers seek to differentiate themselves in the market. Companies will have additional incentives to invest in networks and propose innovative supply solutions to meet customer requirements. Secondly, developers will be able to work with a single water network provider on projects across England and Wales rather than having to build relationships and negotiate with multiple regional water companies. This will be of significant benefit to both national and regional housebuilders, who can now agree a single set of service standards, delivery methodologies, timescales and installation processes across their whole portfolio of new projects. Finally, water connection procurement will be brought into line with that for all other utilities, offering the same opportunities to ‘shop around’ in order to get the best deal. And that, in turn, opens up the possibility of developments of all sizes being able to adopt a multi-utility approach, sourcing all of a site’s utilities from a single supplier. Gas, electricity, Fibre-to-the Home, water and wastewater networks could all be incorporated into a single tendering process, with a single project manager then co-ordinating all the installation scheduling, avoiding costly delays and saving on project management time. All these opportunities are available to every housebuilder and developer no matter what the size of the development. Taking advantage of them makes business sense – which is why the largest developments already do. Now it is a realistic option for everyone.